Eclipse above, New Order on the iPod, the end of this inexplicably long week in sight: grand mood. Lots of fun pop-cult unearthings to follow. But first, CRISIS IN SPACE! “But space and security experts claimed yesterday that Mr Bush's decision was more about showing Russia and China what the U.S. was capable of, rather than preventing danger to life and limb. “Jonathan McDowell, an astronomer with the Harvard-Smithsonian Centre for Astrophysics, called the move "regrettable". And in a jibe aimed at the President he said: "Clearly someone in the administration who has the instincts of a cowboy has decided this is the perfect excuse to rattle our sabres and show the Chinese that we have the same capabilities." Noted: it’s provocative to show the Chinese we can do what they did. Because if we didn't do it, they would stop doing it too. Human nature teaches us that unanswered assertions are always met with chastened withdrawl, after all. Dr. McDowell’s webpage is here. His personal politics are here. He’s a Green party member, among other things. So put down the Greens in favor of satellites with poisonous fuel hitting the Earth, I guess. I know it's a bit much for a news story to note that the scientist quoted might have pre-existing ideological precepts that colored his evaluation, but gosh, it would be easier if they'd google a bit and save us the trouble. While searching for Thursday’s Lance Lawson strips (note: all the strips up on Buzz.mn will eventually be collected at lileks.com) I came across this ad. 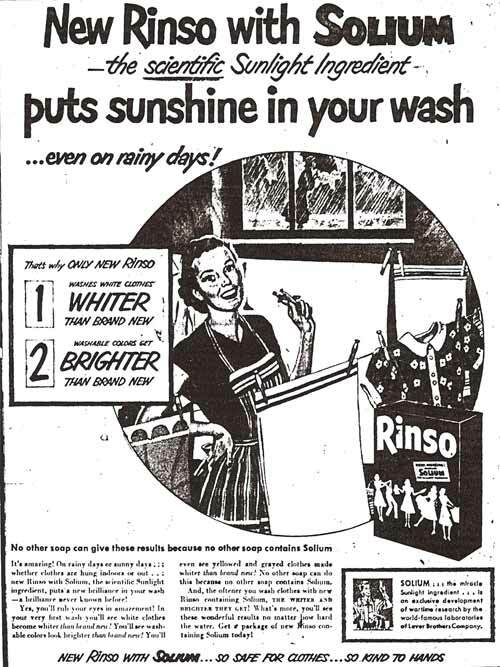 It made two interesting claims: clothing would be whiter than brand new, and brighter than brand new. So . . . it’s caustic bleach, then? No: it has SOLIUM! 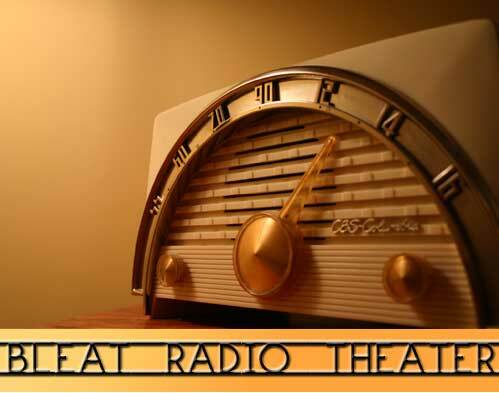 This week’s Bleat Radio Theater brings you “The Whistler.” This was an anthology show, like “Mysterious Traveler” or “inner Sanctum” – a creepy host, a tale of DOOM. “The Whistler” generally avoided the supernatural. It was introduced by a fellow who walked the Earth by night, whistling a strange theme that’s about 63% less haunting than it seems like it should be. It’s as if he’s just making it up. He narrated each tale with pointed, taunting remarks directed at the main character. 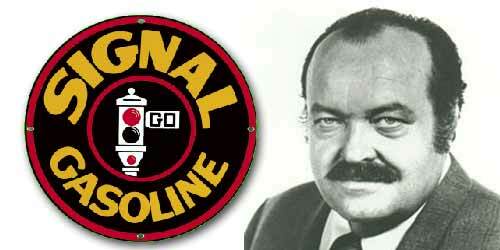 Starring in this episode was William Conrad, who seems to pop up in every other Bleat Radio Theater episode. For good reason. I include this for three reasons: it’s almost a techno-thriller, for the time; it reminds you how quickly you could get to the airport in New York in 1949; and I missed half of it while I dropped off some missed homework at (G)Nat’s school. These characters would appear in the Animaniacs in the 90s. There was a time when I wondered aloud whether The Rover Boys was the source of the name of the TRB column in the New Republic. I'd read something to that effect. I pity the fool who googles that topic. Sorry! So sorry! Enough. Here’s your Sears1973 page; see you at buzz.mn with eclipse footage, and a double Lance-Lawson Thursday. Can I do a Diner and the Smartflix column AND Chuck E. Cheese’s in one day? Stay tuned.